﻿ What does an evening bat look like? What does an evening bat look like? The evening bat is also known as Nycticeius humeralis, “common bats”, or “vesper bats”. Vesper means evening in Latin, and the actual Latin word for bat is vespertilio. They are a nocturnal animal after all. A common bat found across many places in the USA, evening bats are actually pretty small — they'd look tiny if you were to have one in your hand. On the scales, they'd only max out at 15-16 grams, most of them between 7 and 13 grams. The evening bat is mostly gray, but can also have patches of both light and dark brown, and it would seem that some of them may even have lighter hues than that too — almost white patches of fur; although, this is rare. Where does the evening bat live? You will find the evening or common bat in more easterly or mid-western areas of North America, in states such as Illinois, Texas, eastern Nebraska, and even Northern parts of Mexico. Not bad for a bat that once considered to be a southern species, right? 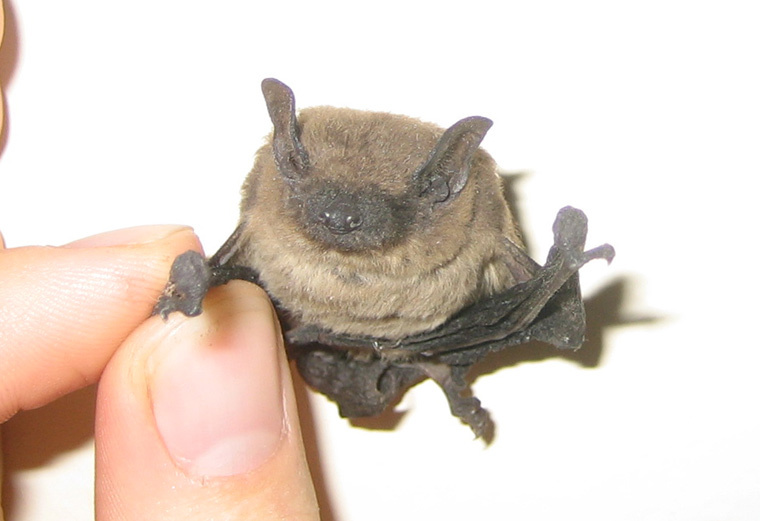 This bat species likes wetlands, where there is an abundance of insects to devour. You are probably not going to find this bat in a cave, the animal preferring forests and trees instead. They like bark that has come loose and the hollows found in larger trees. This doesn't mean a residential or commercial property will be safe, however; they are a common nuisance species in some areas. What does the evening bat eat? Evening or common bats are a pretty steady, yet slow flightpath, making them perfect creatures to catch flies, beetles, moths, and leafhoppers mid-flight. Bodies of water will, obviously, provide a perfect source of flying insects, and this is where they'll hang out at dawn and dusk, or just after. Being nocturnal animals, they tend to be more active a couple of hours after sunset and a couple of hours before sunrise. This is when the insects are still out or are just coming out, and just one hundred bats in one evening bat colony can devour somewhere in the region of one to two million insects in just one summer period. When does the evening bat have babies? Just like the big and little brown bats, evening bats will mate earlier than necessary — fall and winter, storing sperm until they are ready to fertilize the eggs. This will happen much later on, once winter has passed, usually when the weather turns much nicer in spring. When they are ready to have the youngsters — usually two, but up to three or just one baby can sometimes happen — the females will come together to form maternity roosts, and these can see bats flock together in their hundreds; sometimes as many as a few hundred bats in one roost. Go back to the Bat Removal page, or learn about bats in the attic with my Bats in the Attic guide.